Timothy F. Slater holds the University of Wyoming Excellence in Higher Education Endowed Chair for Science Education where he holds faculty appointments in the College of Education, the College of Science, and the School of Energy Resources. Internationally known for his work in the teaching and learning of astronomy, he serves as the Director of the Cognition in Astronomy & Physics Education Research CAPER Team where his research focuses on uncovering learners' conceptual models when engaging in science. Prior to becoming a chaired professor at the University of Wyoming, Dr. Slater was a tenured professor in the Astronomy Department at the University of Arizona where he constructed the first Ph.D. program focusing on astronomy education research. 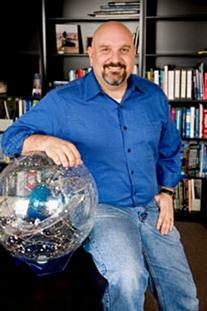 Winner of numerous teaching awards, Dr. Slater has been elected to the Council and Board of Directors for the American Astronomical Society, the Astronomical Society of the Pacific, the Society of College Science Teachers, the National Science Teachers Association, and serves on the Editorial Board of the Astronomy Education Review. Dr. Slater and his wife spend much of the summer traveling cross country on their motorcycle, hiking in the mountains with their children, and continuing their quest for the perfect location to watch sunsets.